I picked up Pride and Prejudice at age 14—and almost immediately put it down again as too boring and hard to understand! (I clearly have changed my mind since then.) 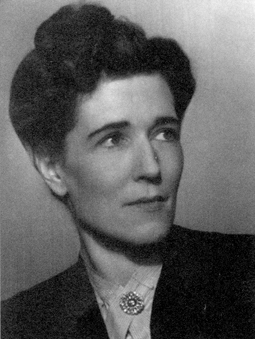 Instead of Austen my real introduction to the Regency period was through the novels of the incomparable Georgette Heyer (1902-1974). 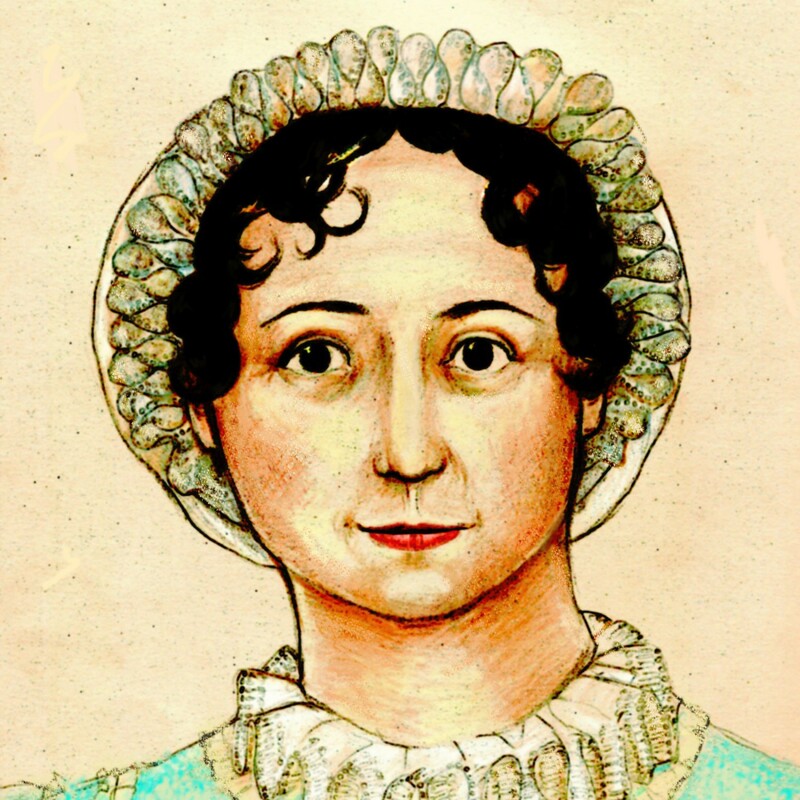 Her novels were romantic and even sensual, in the writer’s meaning of being filled with concrete textures of smells, tastes and sounds and other details of life in Regency England. They charmed me at 14 and they charm me still. Austen’s novels have survived so well and lend themselves so easily to new incarnations in part because there is little detail. There are certainly background nuances that, if you understand them, add so much more to your reading of Austen (as our Esteem’d Editrix showed us in her recent article on carriages). But you don’t have to know your phaeton from your landau to enjoy Austen. Similarly, she gives us little detail about her character’s physical appearance, leaving plenty of scope for the imagination.
. . . that she could date a book effortlessly by the most casual of references to contemporary events. She hardly ever uses an actual flat-footed date. In The Foundling, for instance, an early reference to the Prince Regent sets the book after 1811, one to Waterloo then tells us it is after 1815, and one to Princess Charlotte’s death in childbirth finally places it after 1817. It is almost a game that she plays with the reader, and one who joins her in it will not catch her in error. Heyer’s research was so meticulous and her writing so clear that for some time her book An Infamous Army featuring characters at the Battle of Waterloo was required reading at Sandhurst, the military academy. 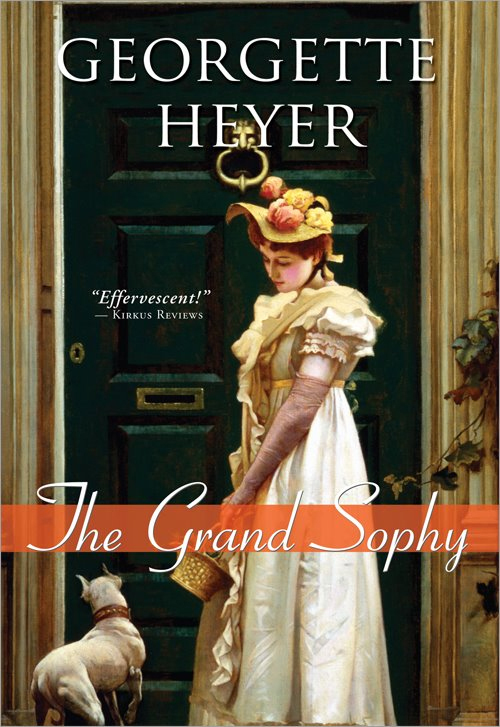 In many of her novels, Heyer focused on a different social sphere than Austen’s preferred circle of three or four families in a village. Heyer generally reveled in the glittering world of the upper Ten Thousand: the world of Almack’s, presentations to the Queen at Court, and the nobility. Her heroines marry Earls, Viscounts and even Dukes. If they marry a “Mister,” why then he is sure to be one of the richest and most desirable partis of all London: either a noted Corinthian (see below) or a Pink of the Ton. Heyer excelled at bringing real people into her novels. Most of the patronesses of Almack’s make cameo appearances, generally to approve of a heroine or give her vouchers to attend or permit her to waltz with the hero. Beau Brummel shows up in at least one book and the Prince Regent himself tries to kiss a heroine in another (she faints, finding Brighton Palace dreadfully hot). In Regency Buck, the Duke of Clarence makes his famous remark about the Thames: “There it goes, flow, flow, flow, always the same.” “Gentleman” John Jackson, the famous pugilist, gives boxing lessons to the hero of The Grand Sophy, and we learn that he “displays to advantage” and has “bottom.” The introduction of these real people and all their real characteristics and sayings gives great depth to the novels. Heyer takes great pleasure in the details of appearance: hats, pelisses, muffs, promenade dresses, carriage dresses, ballgowns, Hessians (never worn with anything but pantaloons), Belcher neckcloths, caped greatcoats, and gloves. When Arabella Tallant and her sisters look through their Mama’s carefully saved old dresses to find items that can be altered for her debut visit to London, Heyer, in just a couple of paragraphs, gives us glimpses of the fashions of approximately 1805, those of twenty-five years earlier and, as well, insight into the loving relationship between the girls and their mother. Fashions had changed a great deal since Mama was a girl, and to a generation accustomed to high-waisted gowns of muslin and crepe with little puff sleeves and demure flounces round the hems, the stiff, voluminous silks and brocades Mama had worn, with their elaborate undergowns, and their pads, and their wired bodices, seemed not only archaic, but very ugly too. What was this funny jacket, with all the whalebone? A Caraco? Gracious! And this striped thing, for all the world like a dressing gown? A lustering sack—well, it was certainly very like a sack, to be sure! Did Mama wear it in company? What was in this elegant box? Poudre a la Marechale! But did Mama then powder her hair, like the picture of Grandmama Tallant, up at the Hall? Oh, not quite like that! A gray powder? Oh, Mama, no! And you without a gray hair to your head! How did you dress it? Not cut at all? Curls to the waist at the back? And all those rolls and puffs over the ears! How could Mama have had the patience to do it? So odd as it must have looked, too! But Mama, turning over half-forgotten dresses, grew quite sentimental, remembering that she had been wearing this very gown of green Italian taffeta, over a petticoat of satin, soupir d’etouffe (unaccountably missing), when she had first met Papa; remembering the pretty compliment paid to her by that rejected baronet when he had seen her in the white silk waist Sophia was holding up (it had had a book muslin train, and there should be somewhere a pink silk coat, very smart, which she had worn with it)….The girls did not know where to look when Mama sighed over a cherry-striped gown and said how pretty it had been, for really it was quite hideous, and it made them feel almost uncomfortable to think of Mama’s being seen abroad in such a garment. In short, Heyer sought to provide all the vivid details of fashionable living in Regency England, focusing principally on the most fashionable (and therefore the most “fun”) segment of the population. And fun the reader does have! Ladies sip ratafia and nibble on rout-cakes, sporting gentlemen tie spotted Belcher handkerchiefs loosely around their necks and flaunt greatcoats with as many as sixteen capes. Young men compete to see who can “drive to a hand” by driving their gigs through narrow gate openings or “hunting the squirrel” on the highways. Young ladies blush when they feel a gentleman’s arm go around their waist the first time they waltz (but never, never, at Almack’s without first receiving the approval of one of the Lady Patronesses). Boys get into scrapes by riding a Pedestrian Curricule (an early form of bicycle) through the streets of London or inadvertently taking a hot-air balloon ride. A heroine who is a noted whipster drives a high-perch phaeton down St. James Street where the gentlemen stand at the bow windows of White’s ogling disreputable females—dreadful! “Who told you I was a green ‘un?” retorted John…..
Heyer’s novels are romances and they end with satisfactory kisses. While she rarely opens the bedroom door, we sense greater physical passion in her world than that which Austen shows us. Here she describes Beau Wyndham, the hero of The Corinthian, and the details contribute information about what such a man wears, a hint to his character, and also a hint of sexuality that goes beyond Austen: this guy is a hunk. He was a very notable Corinthian. From his Windswept hair (most difficult of all styles to achieve), to the toes of his gleaming hessians, he might have posed as an advertisement for the Man of Fashion. His fine shoulders set off a coat of superfine cloth to perfection, his cravat, which had excited George’s admiration, had been arranged by the hands of a master; his waistcoat was chosen with a nice eye; his biscuit-coloured pantaloons showed not one crease, and his hessians with their jaunty gold tassels, had not only been made for him by Hoby, but were polished, George suspected, with a blacking mixed with champagne. A quizzing-glass on a black ribbon hung round his neck; a fob at his waist; and in one hand he carried a Sèvres snuff-box. His air proclaimed his unutterable boredom, but no tailoring, no amount of student nonchalance, could conceal the muscle in his thighs, or the strength of his shoulders. Above the starched points of his shirt-collar, a weary, handsome face showed its owner’s disillusionment. Heavy lids dropped over grey eyes which were intelligent enough, but only to observe the vanities of the world; the smile which just touched that resolute mouth seemed to mock the follies of Sir Richard’s fellow men. In the years since I discovered Heyer I have done extensive research in the Georgian and Regency periods as well. It is a pleasure to me to come across one of the sources that she used and to find how accurately she used it. While Heyer perhaps overdid the slang I have never found her to be incorrect on any detail of historical fact and she herself took great pride in her extensive knowledge. If you have not discovered Heyer yet you are in for a real treat! Try Arabella first, or perhaps The Grand Sophy, which has one of the funniest, fastest-paced pairings-up of four couples you’ll ever encounter. 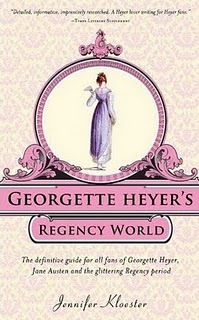 And whether you read Heyer or not, you might find Jennifer Kloester’s Georgette Heyer’s Regency World a useful resource for better understanding the world that Jane Austen also lived in. Georgette Heyer’s Regency World by Jennifer Kloester is being republished by Sourcebooks and will be released on August 1. Austenprose is having a full month of Heyer madness in August, with plenty of swag and chat! Check it out! This was a really enlightening article! I’ve had Georgette Heyer’s novels on my to-read list for awhile now, but this article has inspired me to pick one up as my next read. Also, the idea that the students at Sandhurst were required to read one of her books is such an amusing anecdote. Great article! I loved this post–chock full of interesting tidbits. Just last night I had to Google to find out what exactly ratafia was! >Heyer was a detailed and meticulous researcher and filled scrapbooks with sketches of hats and dresses, details of advertisements, recipes for Gowland’s lotion, carriages, uniforms and dueling customs. I love this aspect of Heyer, and Infamous Army is on my TBR list for this year. This is a very interesting article, thanks for posting it, Mags. I plan to enjoy Laurel Ann’s Georgette Heyer event, also. 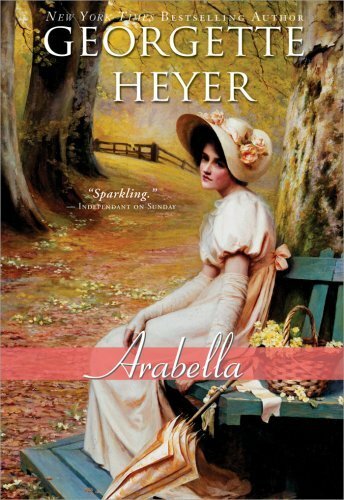 I discovered Georgette Heyer (because of my love for Jane Austen’s work) about 5 years ago, and have bought, read, and greatly enjoyed all of her Regency novels, as well as several of her other books. She’s one-of-a-kind, and a great joy to read. You won’t be sorry if you pick up one of her books! It will help a lot — I wish I’d seen it BEFORE I read it! There are several other fascinating links about Waterloo at the bottom of that page, too. Happy reading! Very enjoyable read. 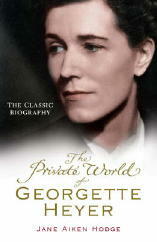 It has motivated me to pick up a Georgette Heyer once again. I think we don’t get this in Jane Austen books because it wouldn’t interest her contemporary readers much. While for a writer of the 20th century it was fun to do all that research and create a Regency World which she herself hadn’t seen. Right–JA didn’t need to put in details, because she was writing for a contemporary audience. Her setting was incidental to the story (which is why they are so ripe for updates like Bride and Prejudice, Aisha, Clueless, etc.). In GH’s novels, the setting is intrinsic to the story. The story is shaped to the Regency/Georgian setting (though GH’s own contemporary mores creep in at times). Oooh, thanks Mags. You put it very succinctly: “incidental” and “intrinsic.” I knew it, but this is quite PITHY; well done! I always enjoy your writing…! Love, love, LOVE Georgette Heyer! Not only for the many details and the romance, but just the plain cleverness of her story telling. Her dialogue and prose sparkle with life and humour. (The witty repartee between her heroes and heroines is just to die for.) Her characters HAVE character: they aren’t just heaving bosoms and broad shoulders. The minor characters, too, are written in such a way that you get a real sense that they are people with a life and a history even out of their “scenes”, and, so, so many times, true to type. You feel you have a relationship with people in Georgette Heyer’s stories even after you’ve closed the book and put it away. Wow. I really need to get around to reading some Heyer! ASAP! Fantastic article! Beautifuly written article. Reminded me why i love the regency and Heyers work. Fridays child has always been my favoritie followed by The Grand Sophy.